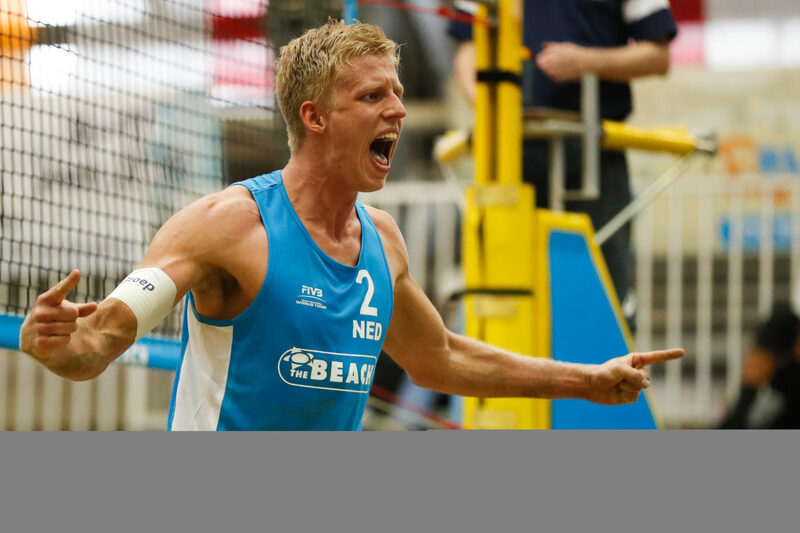 22-year old Dutch National Team beach volleyball player Tom van Steenis will miss most of the World Tour season and this summer’s World Championships after undergoing shoulder surgery. The surgery was not implicated by any structural damage; rather, it stemmed from a complaint of stiff hands and fingers. The complaints led the Dutch national team medical staff to operate, where they discovered a blood clot in an artery in his shoulder. He is expected to miss 3 months of action after the surgery. Had the aneurysm ruptured and made its way into his heart, lungs, or brain, it could have killed him. Van Steenis, a 6’8″ blocker, and his partner Ruben Penninga have played in 6 FIVB World Tour stops so far this season, earning $1,450 each. Their best finish was 5th place at the Aalsmeer 1-star in the Netherlands last October. The duo currently rank 104 in the FIVB world rankings. Penninga has played his last two tournaments with another young player, 6’7″ 19-year old blocker Mees Blom. The team finished 41st in the Lucerne 3-star in early May and 13th in the Aydin 1-star last weekend.